I have to admit to becoming increasingly concerned about the reaction of so many of my Jazz Friends to Brexit. I would say the majority are totally anti Brexit for very sincere reasons which I fully understand and empathise with. Yet we have to consider the future and the overriding geopolitical picture. 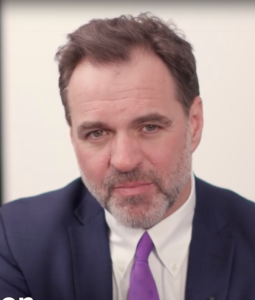 So I can find no better way to get my thoughts on Brexit across than to share with you the observations of Niall Ferguson on developments in European Union. Niall prefaced his observations by stating that at the outset he was on the side of remain. Wearing my Jazz Hat I would rather all this was just a ghastly nightmare. But it’s not. So we have to and will weather the storm. When you’ve moved to France 10 days before the referendum, then seen the value of your pension drop by some 20%, almost overnight because of the referendum, you tend to get pretty worked up about something that has cast a long shadow over what was meant to be a long and happy retirement with the freedom to wander wherever you want in Europe without having to use a ferry to get there first. Maybe, “if” what he says comes to pass, things “may” change. But the EU is not primarily a financial end economic institution, it was devised to bring and maintain peace between countries that have, in the past, gone to war with each other. For the last 40+ years, that has succeeded and brought with it amazing schemes like the Erasmus programme, where young students get the chance to travel and study, thus getting to know their European neighbours rather than mistrusting them and looking to pick a fight with them. The rest of Europe is facing the same problem that the UK will also face – globalisation, automation, loss of real jobs, the rich getting richer whilst the poor continue to get poorer. So, instead of the UK being part of a movement where the weak have been supported by the strong, the UK continues to pour foreign aid into non-EU countries whilst, if things do get worse, letting their immediate neighbours go to the hell in a hand basket. And don’t get me started on why the UK government has just spent £12 million buying an apartment in New York for a British diplomat to live in while he negotiates trade deals with the US. So, instead of cow-towing to the EU, the UK now wants to get into bed with a country that has done so much to reduce standards of safety, health, food hygiene and human rights that it makes one shudder to contemplate. Does the UK really think they will be able to call the shots in these proposed deals? Even the Democrats in the government don’t seem to be able to deny the fantasies of a certain Mr Trump. No, I would far rather remain in a failing EU than be subservient to a failed USA. Senior Brexiteer politicians want the UK to follow the same economic model as Singapore and the US, which would mean lower pay and longer working hours, shorter or even unpaid holidays, lower workplace safety standards, reduction in workers rights, no public healthcare… and a whole load more. Margaret Thatcher once said that she wanted the UK to return to Victorian values. Well, the Consevatives have managed to get the poverty, poor healthcare, working harder and harder for less and less. Need I continue? But Peter, this is all about money. That is not why we should ease up on Brexit. Quite the contrary, The most important this about being in the EU is our ability to travel freely and live wherever we wish. There are many things that need to be changed in the EU but for me, who retired here in France they of secondary importance compared to my freedom. Brexit has already had a serious affect on my pension income. If it ultimately leads to my being not allowed to stay here everything I own is in this apartment. I no longer have a car. I have nowhere to stay I the UK. What the hell do I do with my saxesm clarinets, Casio piano, ,my library, outdoor equipment, skis. Even if I paid for their transport I have no where to take them to. My daughter has lived in France for 12 years. She has two Icelandic horses and two cats. How will she fare if she can’t stay, I have studiously avoided using profanity in this message, it was a struggle. Game, set and match to Joanna, in my opinion. I fully agree, Trevor. But I felt I needed to spell out my concerns which I worded very carefully and with much thought. Because what better way to encounter the issues ahead than by drawing attention to them now. And sadly there are huge issues ahead over which we and our young people have no control or influence. 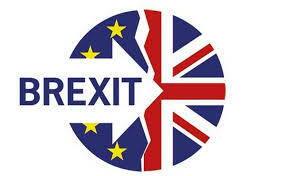 In or out of the EU, the UK faces huge problems. And within the EU there are huge tensions between the member states which desperately need to be addressed if all is to be well. In some ways perhaps the EU is relieved to have all attention focused on the UK and Brexit rather than on it’s troubled southern member states. It’s not just about the UK. It’s about disparities between southern and northern EU member states. Final word, I’m wearied by the way the politicians and bureaucrats on each side have and are conducting the negotiations. Vive La France! The France I love. Oh Norman, if only the rest of the world were as considerate as you. Unfortunately, there are some really weird people out there with some vague memories of the days of Empire, when other countries were screaming for their own sovereignty and their idea of Brexit was to leave the British Empire. Apparently, the UK now wants to ignore our near neighbours and try to make trade deals with those very same ex-colonies; the only difference being that, nowadays, it will be them that will dictate the terms (like India wanting the UK to relax immigration rules). Hang on! isn’t that what the Brexiteers didn’t like about the EU’s freedom of movement in exchange for free trade with them? Dare I add, out of context, there is a form of protectionism / favouritism within Jazz Clubs. Don’t ask me to expand on this because I won’t. Niall Ferguson is an historian, right? Yet he says nothing at all about the last 60 years of history, which would be something I could verify or deny based on my own experience as an adult. Instead he gives his ‘ history ‘ of the next 20 years, something only a couple of decades will prove right or wrong. I would give it some credence if it contained the words ‘ I predict ‘ or ‘ in my view’. You would certainly be very foolish if you did not say that Europe has its problems. but you would have to be a complete lunatic to believe this country is not going to face a very difficult time, whatever happens now. Yes we must all pull together, but how do you imagine that can happen with the entrenched positions so many people take on either side of the argument? Meanwhile, can you please remind our friends in Europe that less than 37.5% of the electorate actually voted for Brexit.